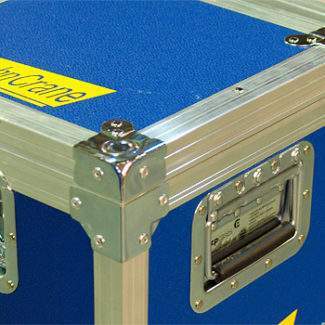 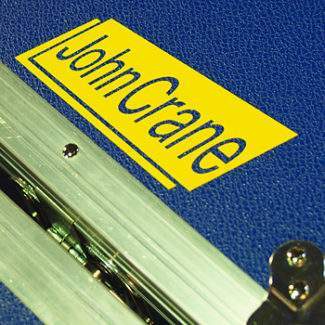 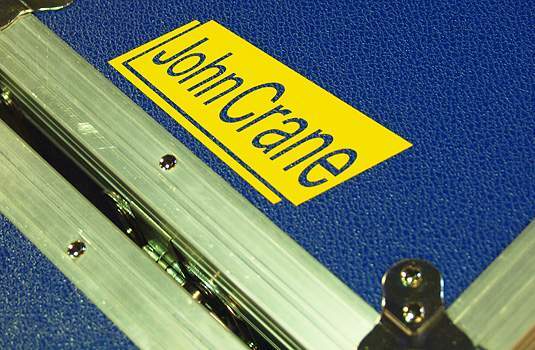 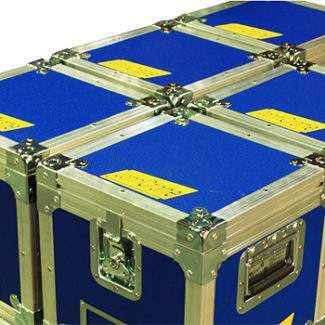 Lighter than our traditional plywood panel flight case yet provides excellent strength and protection for light and medium payloads. 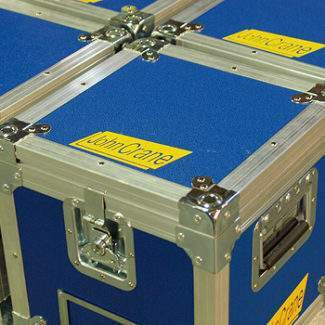 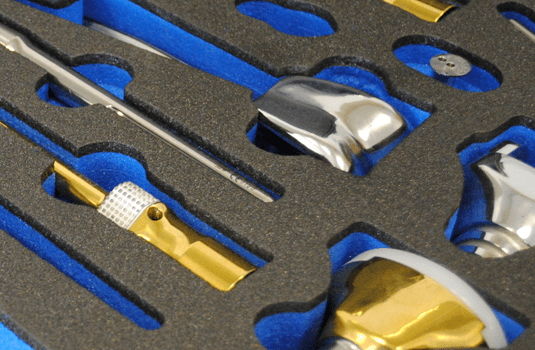 All hardware has been “tooled from scratch” to give T2 cases enhanced strength and rigidity – with all component parts interlocking to give a clean aesthetic appearance without compromise to the products high level functional performance. 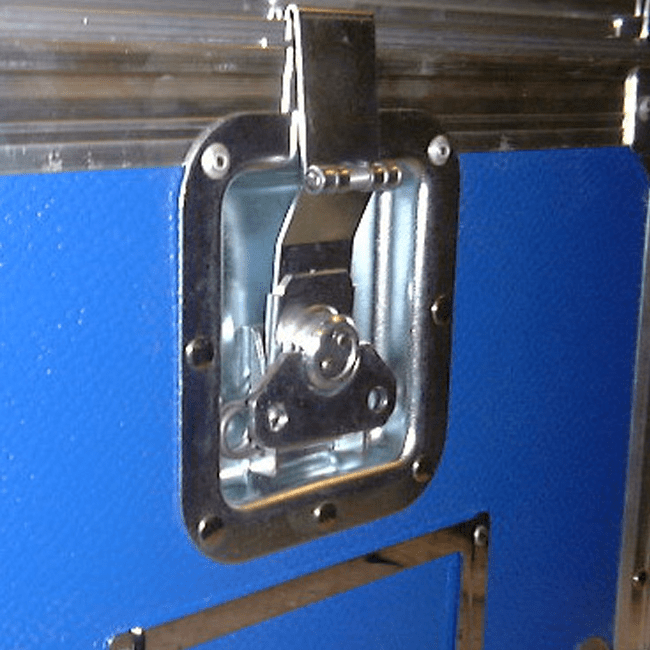 Panels are secured together using nickel plated steel self pierce bifurcated rivets, that offer a waterproof fix, are “drag proof and abrasion resistant” and give decades of proven service life. 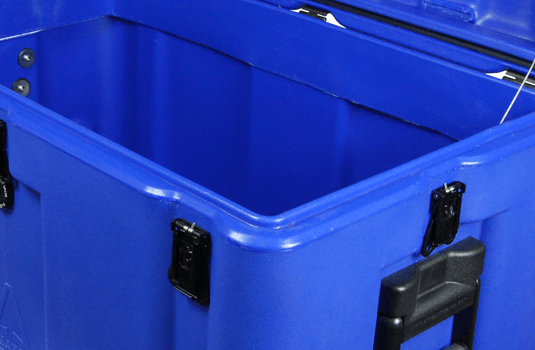 Weatherproof lid/body seal protects against the elements. 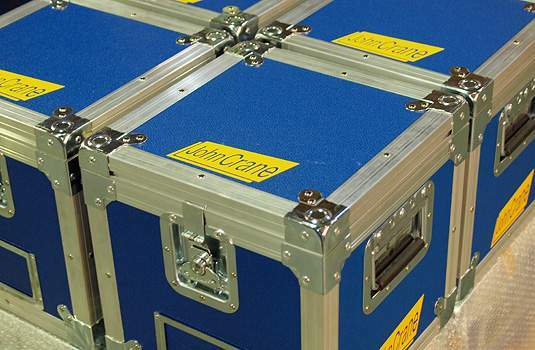 Our well equipped foam engineering department offer a customised service to provide individually tailored cushion protection using high quality “closed cell” PE polyethylene foam – the much preferred material for medical, military and commercial applications. 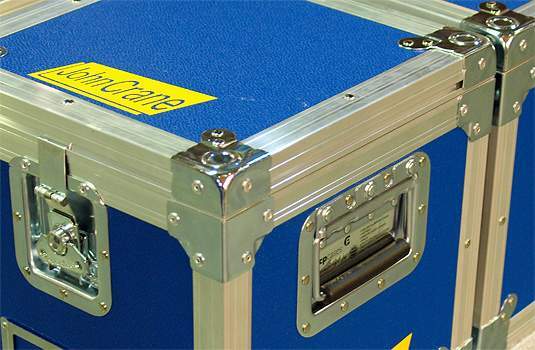 CP Cases is always striving to find new innovative ways to manufacture its protective cases and containers, and substituting our rigid lightweight honeycombed polypropylene (HPP) panels as a viable alternative to traditional plywood panels, we can manufacture tough flight cases that are much lighter than traditional methods. 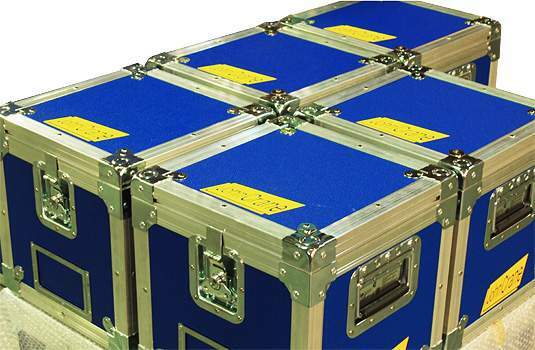 Manufactured using CP Cases’ 45 years established construction methodology, cases made with 6mm laminated HPP offer exceptional strength with a significant weight advantage. 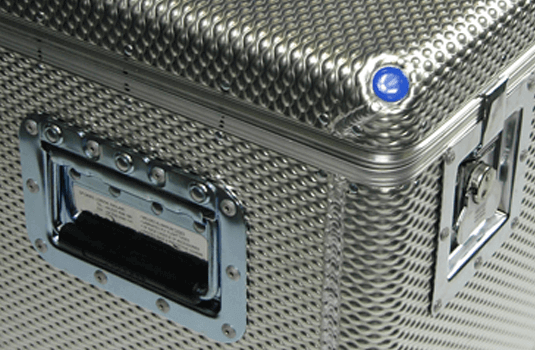 CP Cases’ unique T2 Cases are finished with aluminium extrusions and have a waterproof lid/body seal to protect your equipment from climatic damage and are built to customers specific requirements before fitting foam internals to create a safe lightweight packaging solution. 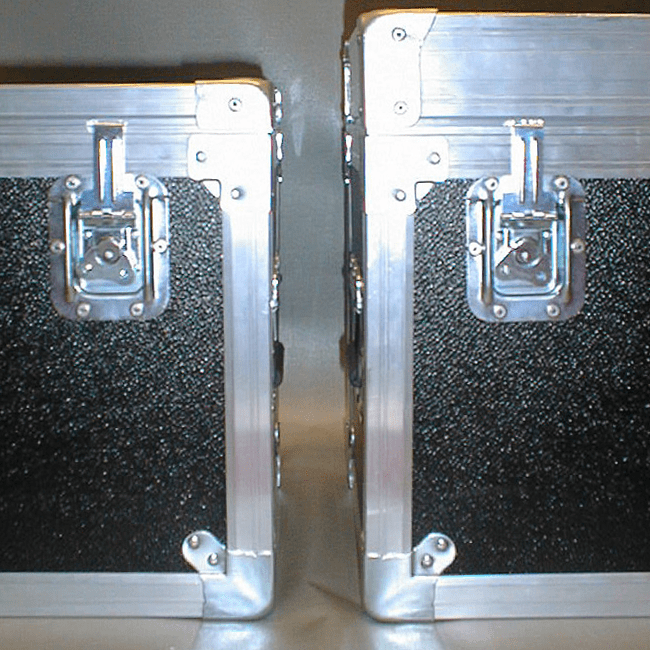 High or low depth lids. 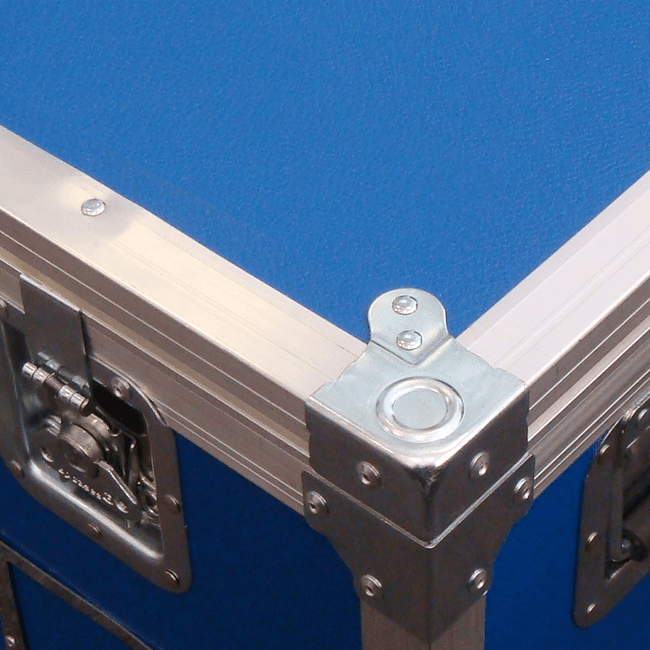 Strong catch that latches onto aluminium extrusion.